Everybody needs this handy little fixer in their lives. 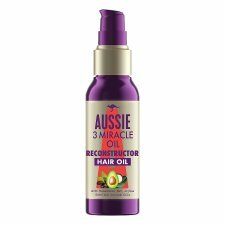 Aussie's non-greasy formula, thanks to the multi-talented Australian Macadamia Nut Oil, Jojoba Seed Oil and Avocado Oil, will visibly repair hair. It’s like your fairy godmother in a bottle. Cinders, your hair will be smooth and shiny, come what may! There's no one, not two, but three ways to use this fabulous formula: before shampooing, on damp hair to help repair the smoothness and on dry hair for amazing shine effect. 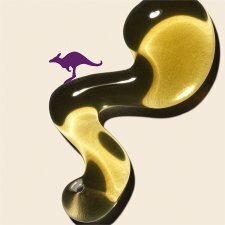 Three cheers for Oil Miracle! Hip-hip, hooray! Hip-hip… you get the idea. Flammable. Keep away from sources of ignition. Keep out of reach of children.